Qualcomm tries to calm fears, says 64-bit Snapdragon 810 is still "on track"
Qualcomm announced the 64-bit Snapdragon 810 all the way back in April and said that the chipset was planned for release in the first half of 2015. Last week, the clock speeds of the 810 were revealed; and, soon afterwards, it was rumored that both the Samsung Galaxy S6 and LG G4 could be delayed because of issues with the Qualcomm SoC. Now, Qualcomm is trying to calm fears, but it isn't doing so well. Jon Carvill, Qualcomm's Senior Director of Public Relations responded to the rumors by saying, "I can tell you that everything with Snapdragon 810 remains on track and we expect commercial devices to be available in 1H 2015." You might notice a bit of a red flag with that statement: it has been almost exactly 8 months since Qualcomm announced the Snapdragon 810, but it still can't narrow down the release window beyond "1H 2015". Technically, that window means we could see Snapdragon 810 devices anywhere between next month and June; but, leaving the window that wide (especially this close to said window) tends to imply the release is towards the later end of the spectrum. This may not cause a problem for the LG G4, which is still rumored for a mid-2015 release, but it would be trouble if Samsung is aiming for its usual spring release of the Galaxy S6. Either way, it is a bit disconcerting that Qualcomm can't narrow down the window for the Snapdragon 810, because we want to see some powerhouse 64-bit Android devices. I remember someone from the same company said 64bit architecture is a marketing gimmick, yet still they are not able produce a gimmick. LOL. Actually, Qualcomm already has multiple 64-bit chipsets out in the market. I guess that makes you wrong. It's not going to take any time at all for apps written in Java - when the app is installed on a Lollipop phone, it gets compiled as 64-bit right then and there. Outside of 64 bit, the Snapdragon 810 offers the Cortex A57 and A53 cores which are more powerful and more efficient than the current Snapdragon 805 processor. So, I don't see the reasoning as to why you wouldn't want this chipset? I personally would, even without the 64 bit capabilities. What exactly would advantages would a Snapdragon 810 bring over an 805? going to 64 bit means you can have memory configs over 4 gigs. Multitasking works a bit better (processor wise), potentially less battery use, that kind of stuff. Initially? it means nothing. Apps have to be recompiled and many lines of code added in order to take any meaningful advantage. Just ask apple. They went 64bit for marketing hype and have done zero with it. I believe that though. When Apple introduced the A7 chip, nobody else in mobile was really talking about 64 bit. It was for desktops. The speculation from our own Michael H. as I recall is not that the iPhone needed to go 64 bit, but rather that they might align iPhone, iPad, and Mac apps. shouldn't we ask microsoft first? 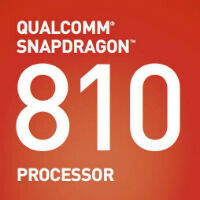 805 is Quad Core 2.7 GHz 32-bit chip while 810 is 2GHz (max) Octa Core 64-bit chip. Also 810 has a better GPU. In day-to-day use, you wouldn't notice a difference in performance as they are both way above par. As an average user, nothing. Did you see his question? "810 over 805"
Krait vs. A57/A53 pure arm cores. First they announced H1 2015, but lately they were talking about launched it early 2015. I have an impression they intentionally stalled it for Snapdragon 805's sake. If NVIDIA could have manage to launch Erista for smartphones soon, they could stole some market share from Qualcomm. North America at least, Samsung has been relying on Snapdragon chips since the S2. I'm not sure if it's due to production limitations on the Exynos or LTE/CDMA radios. And no, North America is not the only market, but it's a huge market and a large source of profit margin. There is one standout case though, the Note 2. They got around it by using a Qualcomm radio chip alongside the Exynos. I'm guessing that's not a valid option anymore. Qualcomm needs to put in more work the the A7 will still trump this 810 but Samsung chips seem to work flawlessly. Samsung needs to make Qualcomm put in more work!